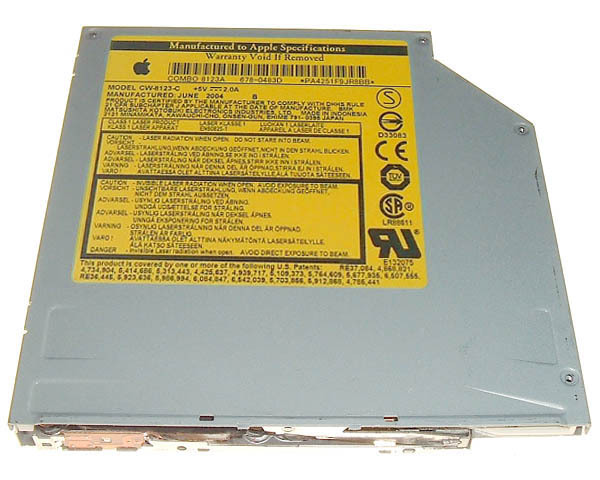 Original Apple internal, ATA, slimline, slot-loading combo drive (CD-ROM, CD-R, CD-RW, DVD-ROM) suitable for any model of iBook G4 or PowerBook G4 (Titanium or Aluminium). 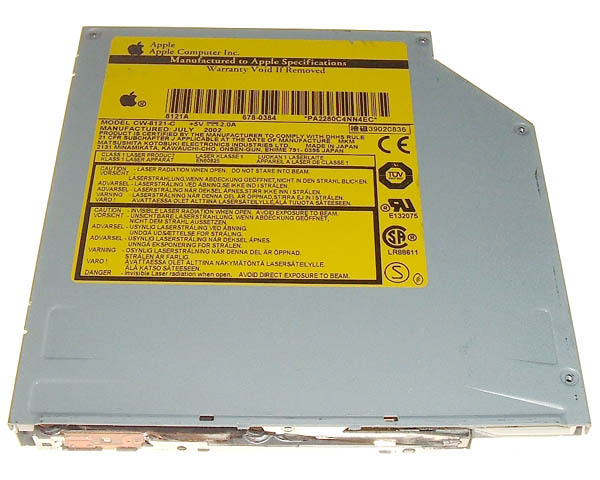 It was originally used in the Titanium G4 PowerBook and although fully compatible, has a slower write speed than the later models used in the iBook G4 and aluminium G4 PowerBooks. Optical bezel sold separately. This drive does not burn DVDs. Please note: On the non-DVI models of Titanium G4 PowerBook (400MHz - 667MHz non-DVI) fitted with DVD-ROM drives, you will also need a different optical flex cable (TBOPTCAB1), optical bezel (TBOPTBEZ1) and mounting brackets (TBOPTMNT) since the DVD-ROM drive was larger than a standard optical and the data connector was on the other side.